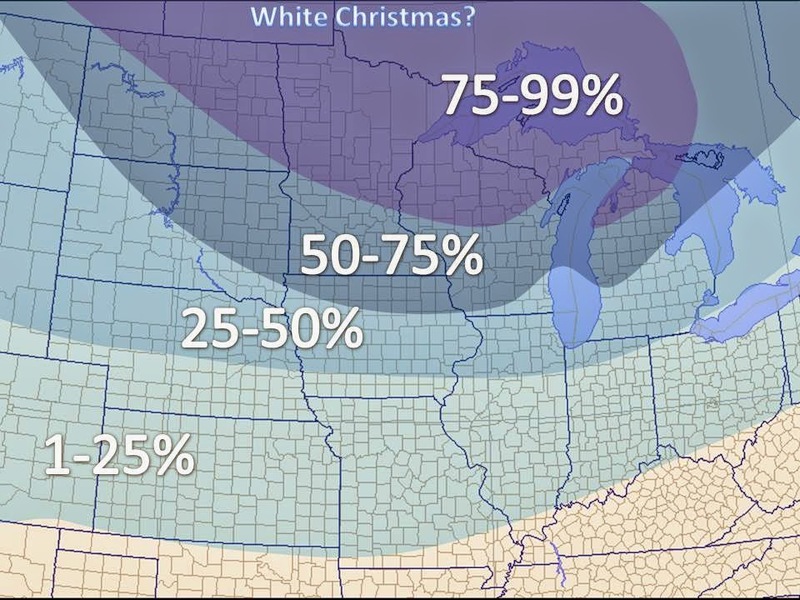 Midwest Winter Weather Blog: Dreaming of a Midwest White Christmas? A white Christmas is defined in the record books as a snow depth of at least an inch on Christmas morning. The plot to the left shows the historical percent chance of seeing a white Christmas across the Midwest (courtesy of noaa data). For the most part; North Dakota, South Dakota, Minnesota, Wisconsin and Michigan have the best year to year chance of seeing such an event. 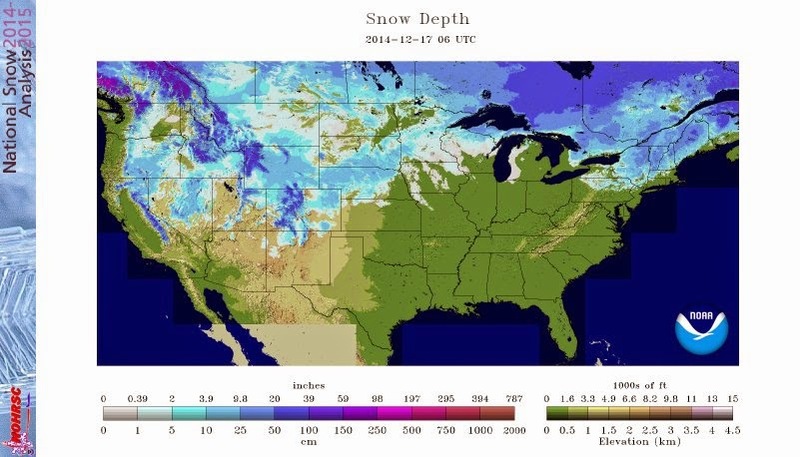 After a snowy November brought snow to much of the are, the snow pack has since dwindled, as seen below. A post about a potential Xmas Eve storm will be out soon!